When Peter was 11 years old, he spent his yearly savings on the Osiris D3 sneakers. At that time, he had already been skateboarding for 2 years and experimenting with graffiti. Thanks to the skate club TSC, he was introduced to web design. Later, Peter started organizing dozens of hip-hop concerts. After he moved to Prague, in 2008, he was studying and making his living doing online marketing. In 2011, he decided to combine his interests and so Footshop was founded – a company about sneakers, creativity, and urban lifestyle. Kovo joined Footshop as a graphic designer. He came up with the idea to sell lifestyle instead of skateboard sneakers, and therefore, Footshop started to gradually add brands like adidas, Nike, Asics, and much more to its assortment. 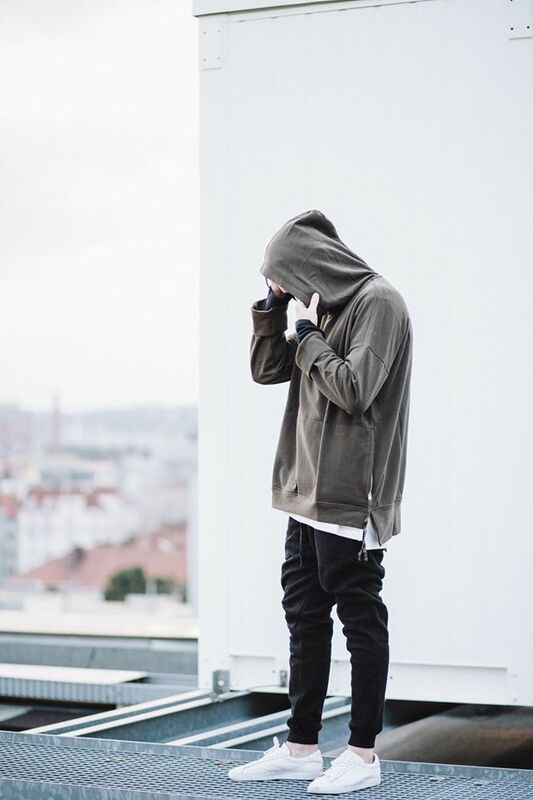 In 2015 there was a big leap in the history of the company when Footshop broke into the world of premium sneaker stores by joining the adidas Consortium family, and by that, Czech Republic got limited collections of adidas sneakers, including the collection of YEEZY by Kanye West. To add to this success, many world famous companies reacted, and Footshop managed to get the world distribution of the highest level from Vans, Reebok, Puma and kept many more. Now, Footshop is a leader in the Czech and Slovak market, and cooperates with the most significant artists and medias and brings, as the only one, to our region exclusive brands and sneakers collections. 50 pairs in stock, a single employee, no change to pay back. This is how it all began. Sort of. We moved our bevy of sneakers to a bigger warehouse and ourselves to the Orco building offices. We were trying to convince our suppliers of providing us more exclusive products. The office space is almost a store, isn’t it? 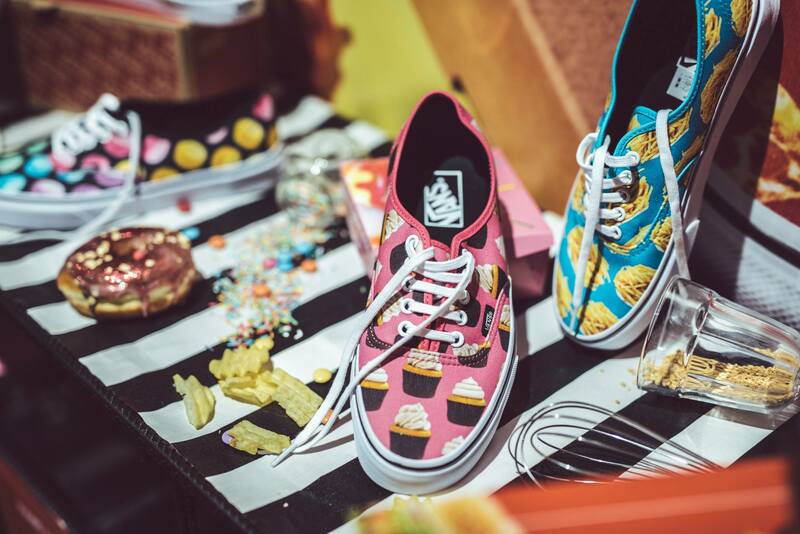 We were preparing the new store in Orco building in Prague - right before the opening we victoriously introduced a collection of hand painted Vans sneakers. The event was attended by almost 100 people, which made us happy. German brand adidas had decided to give us permission to sell its extravagant collection by the designer Jeremy Scott. We officially opened the store with 300 people attending the opening party. We served our first customers the very next day despite forgetting about the shop assistants and cash desk due to the hustle and bustle. Our first batch of customers took away 5 pairs of sneakers and we realized that it’s getting difficult. We were celebrating the anniversary of the Nike Air technology along with the rest of the world. A big bubble was displayed in front of the store and anyone could have tested the shock-absorbing effects of the bubble on their legs, arms, teeth…Basically anything that was hit by the bubble. Meanwhile, several workshops, art performances and discussions with knowledgeable participants were happening inside the store. A big celebration of our store’s first anniversary - we organized an open air gig, which was attended by almost 1000 people. No one got wet. The exclusive launch of a new silhouette by adidas was taking place in Footstep - the first iteration of NMD. If we had no cash desk and shop assistants, it wouldn’t be such a problem, since only one customer came to buy the shoes. However, soon the silhouette became a worldwide hit and we suddenly need a bevy of shop assistants. adidas Consortium - after a long struggle and countless meetings we became a member of the adidas Consortium, the highest distributional level of the brand that is achieved by only a few best stores in the world. The adidas Ultra Boost Uncaged X HYPEBEAST is the very first collaboration we are allowed to sell. After the dream-come-true in the form of adidas Consortium membership, we celebrate again when learning that we also have a permission to sell the sneakers designed by Kanye West - the legendary Yeezy. Some of our employees disliked having 14 boxes of sneakers instead of a chair so our warehouse was moved to a different part of the Holešovice district. The upper floor of our store was then fully dedicated to our 25 employees. Together with aspiring brand Born Bane, we created our first clothing collection, which had been inspired by adidas Consortium Tubular Doom model. The clothing release was made in honor to the shoes. A short film was also made and its screening was accompanied by a live performance. During our first pre-order of the Y-3 brand items we met Stephen, who took us to the showroom. All of a sudden, it’s made sure that soon the brand would really come to our store. After incredible five years we said goodbye to the old website and replaced it with one, which is a little bit more intuitive, and more importantly, our sneakers were shown in their beauty. We celebrated the second anniversary. Good food was present, along with rap performers, however, rain comes too. The guests nor hosts are affected in their mood, though, so the celebrating group relocated to Holešovice market, where the after party continued until the sunrise. And then back to work. We opened our second store in Bratislava after thorough preparations. The goal is to carry on the legacy of its Prague predecessor and become a centerpiece of Slovak sneaker game, besides being the common platform for cultural events of talented individuals and groups. We got access to the most exclusive products of the Puma brand, and to make it visible, we jumpstart it with the release of exclusive sneakers based on the collaboration between Titolo a Atmos stores. 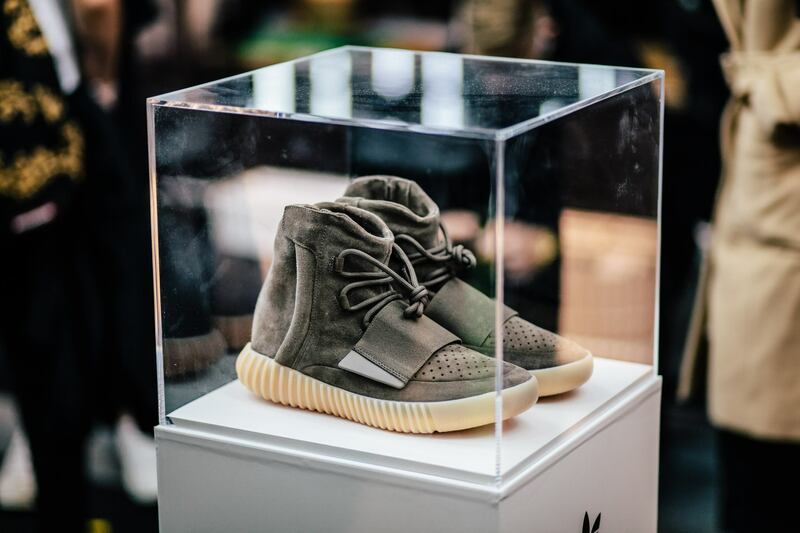 Sneaker Con London - We took part in a foreign event for the second time. We arrived to the European version of the American festival with our Wheel of Fortune, which made fortunate not only our customers, but also us. Selling sneakers for the retail price was met with a great success and acclaim. We launched a series of art exhibitions on the 2nd floor of our store in Prague. The first two were dedicated to photography and presented the work of Martin Fisher and David Suchar. The third exhibition was presenting the large-format oil paintings of Albinus Grammar. As part of the Teniskology 2017, we joined the Puma brand and together we built a pop-up "Fenty University" class inspired by the 1990s with a two-day course schedule full of influencers in the roles of teachers. As a contrast to that at the street culture event Fashion Deala, we bet on the futuristic look of the designer release of adidas Consortium A//D. 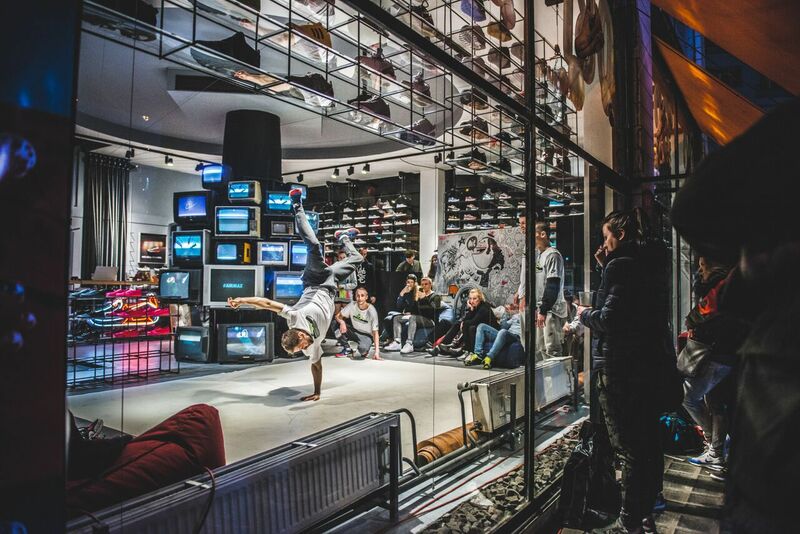 In December, together with Puma’s XO collection, we celebrated the first birthday our store in Bratislava. 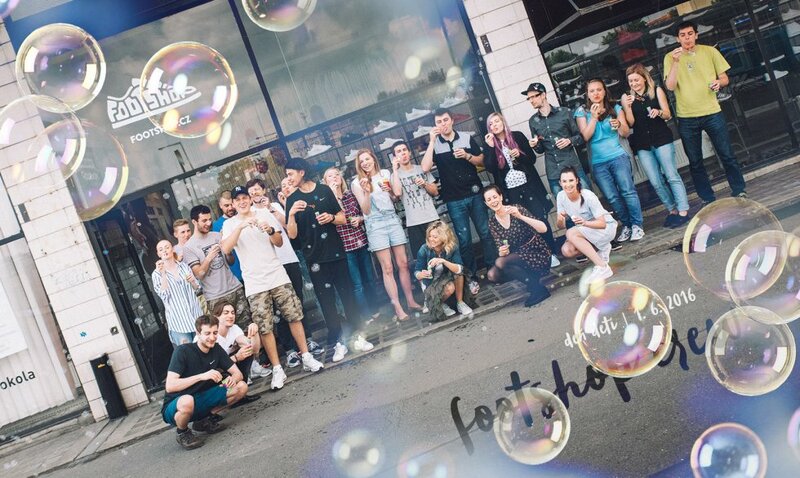 This event became unforgettable and included an amazing after party, because the 1st year of Footshop in Bratislava was more than successful! Within one year we managed to create collections along with the skateboard brand UKNOW, photographer Lousy Auber and the high fashion brand LAFORMELA. We also finished our own collection called POINT OF VIEW, which featured elements from all these collaborations.